As a card-carrying Rhoneophile, I get giddy when it comes to Southern Rhone gems with a touch of age. Add to that a list of some of my favorite producers and a stunning vintage that has proven to make lush but strudy wines, and you know we’re in for quite a night. Join us for an evening of Southern Rhone education. We’ll start with tasting some good but basic Cotes du Rhone while learning about the history of the region and Châteauneuf-du-Pape in particular. Then we’ll move into the big show. 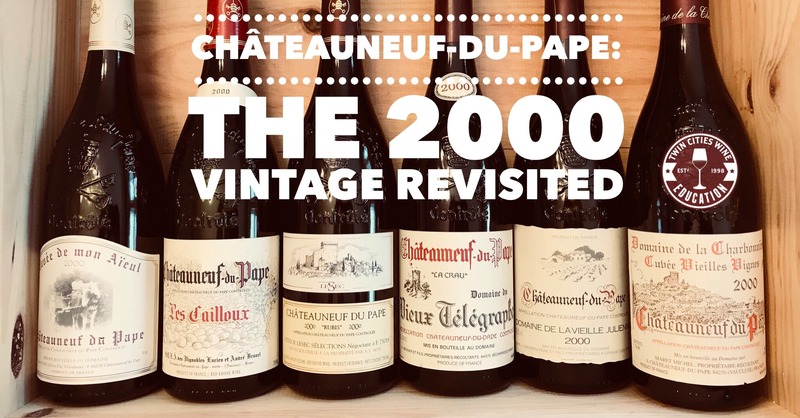 We have six wines from a range of top level producers to enjoy and discuss, all from the outstanding 2000 vintage, all in perfect condition, and all with a story to tell. This will be a very special evening indeed. Seating is extremely limited.